I found a bunch of pictures in my computer that hadn't made it to my blog yet, so this post has four different nail designs in it! These first ones I did on my flatmate Michaela a while back. I love how the gradient leopard print turned out, and the black stud added a nice touch. Both hands. I just love leopard print on a white background, even though I always feel strangely guilty whenever I go with such an over-done design. I guess it's popular for a reason ☺. These ones are really old! I actually can't remember who I did them on, either, oops! I'm tossing between two people... Anyway, they were St Patty's day themed; so yes, a while ago now! These ones I did on Megan, and I love the little roses! I need to do these on my own nails next time. The purple and teal look great together, too. These ladybugs were also done on Michaela - I had done the acrylics on her earlier and then made them shorter and cuter so they suited her job in Early Childhood. Apparently the kids loved them! Which design is your favourite? I'd have to say the roses. Hope you're having a good week, and if it's winter where you are (like me), keep warm! What cute nail art! I really like the lady bug one too. my fav is the first!!!! animal print are my thing!!! love it!!!! 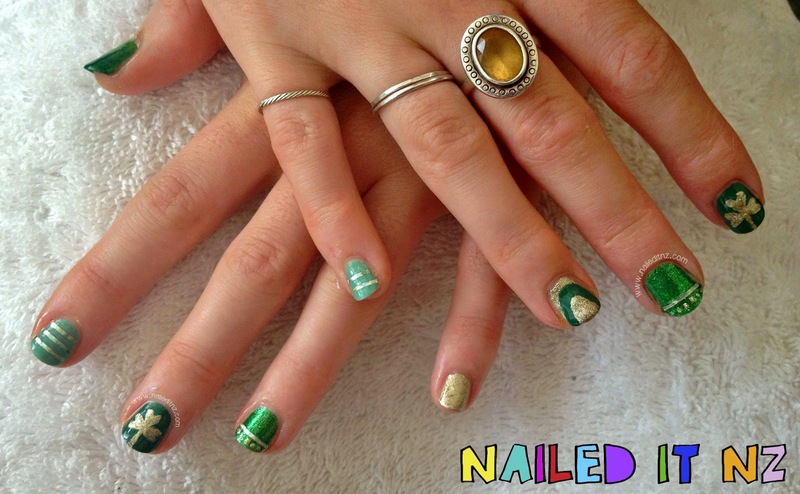 Jessie, how lucky are YOU that your roommate is a willing subject for your nail art efforts! And since she works in early childhood, just think of all the whimsical possibilities for her nails that you can try. Cartoons, seasonal ideas, children's literature characters, holidays, -- too many to get to in one lifetime. Thanks as always for such inspiring ideas!